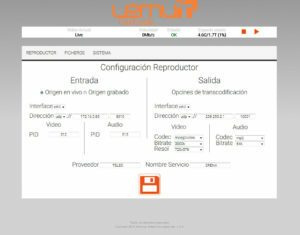 Lemu-IP is a solution developed by Anvimur Telecomunicaciones esallowing operators to generate their own Local HD channel automatically from the library of recorded files on a server or on the other hand, from an audio video IP stream broadcasting live. 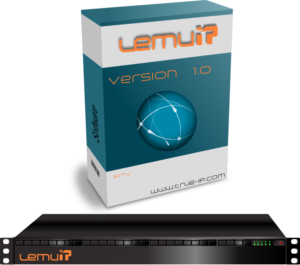 Lemu-IP is a generator of a professional Local IP HD Channel that is 100% compatible with the True-IP Middleware. It is ideal for OTT/IPTV solutions. Lemu-IP is installed over the ultra-fast Intel Xeon E3 professional chipset on Supermicro boards, with the possibility of utilizing different storage capacities per server. 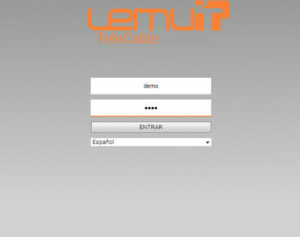 The Lemu-IP HD Local Channel generator, enables the operator to professionally and automatically create an informative, advertising or live channel in order to be offered on the subscribers’ viewing devices. Web management from any browser. Supports multiple input codecsand guarantees a stable simultaneous H.264 y MPEG2 output. Allows for the selection of live or recorded sources. Allows for the renaming of files, on/off file mode and loop broadcasting on the output grid. Ethernet 10/100/1000 Base-TX network interface; 10GBASE-T possibility. Intelligent storage space analyser built-in Lemu-IP server. Enables the uploading of recorded files from Web and FTP. Allows output channel Codec, Bitrate and Resolution to be selected.